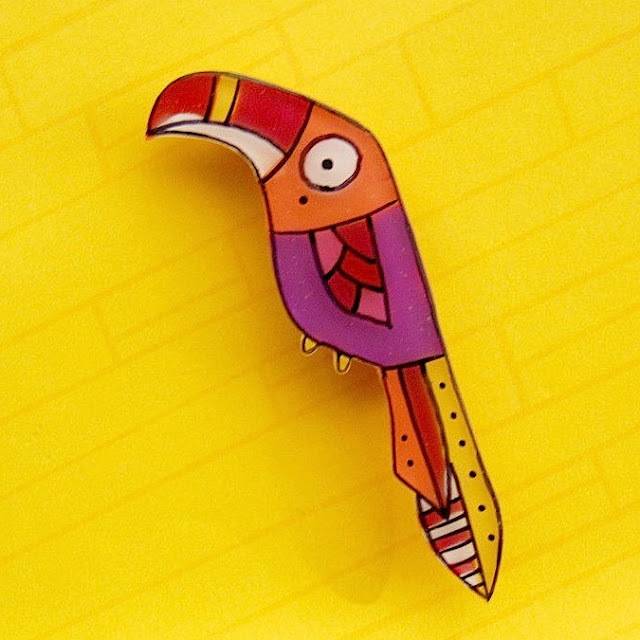 A hand sawn toucan from 2mm thick plexiglass, hand illustrated and hand painted and with a thick layer of triple gloss to protect the color and ink. Approx 5 cm (1.9 inches) long. It comes gift boxed and can be shipped worldwide. Love it!